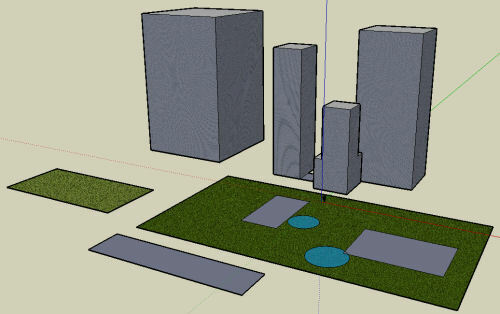 I enjoy playing with SketchUp. Definitely check it out if you haven’t yet. It’s a lot of fun, although I see few practical applications for my Elf. This is the city I made. Sucky, but I’m still learning how this all works. Google has lots of amazing applications under the hood and I’m just beginning to get a taste of their brilliance.